Happy Mani Monday, friends! Are you loving this winter weather or are you already craving Spring? Personally I'm ready for some warmer temps - it has been FREEZING in the Bay Area (around 30 degrees in the morning, when I walk Leila to school and then a high of about 50....don't laugh - that's freezing for me!) The warm weather wishing (say that five times fast!) has me longing for spring colors, so I painted my nails with Mint Polish's "lavender macaron"
...and then a few days later I added Julep's "Oscar" to the tips of my nails, in a slightly gradient fashion, as seen HERE. Did you take some time for yourself this week to do your nails or toes? Heather and I want to see them, so link 'em on up! Hope you all have a great week, mani lovers!! Lavender my favorite color! I did get a gel manicure last week - teddy bear brown.LOL Your weather is the same as our NJ weather. Sadly though since its been so "warm" the rest of the winter should be a doozie and I too will be freezing or shoveling snow. Always wanted to link up but never remember to take photos or do anything really different. Love the lavender color, one of my favorites for spring! Ahhh thanks so much for featuring my nails!! (Now a little embarrassed by how messy they look close up!) Really exciting. LOVE LOVE your lavender nails - spring is on its way... apparently! Oh my gosh love mani monday. 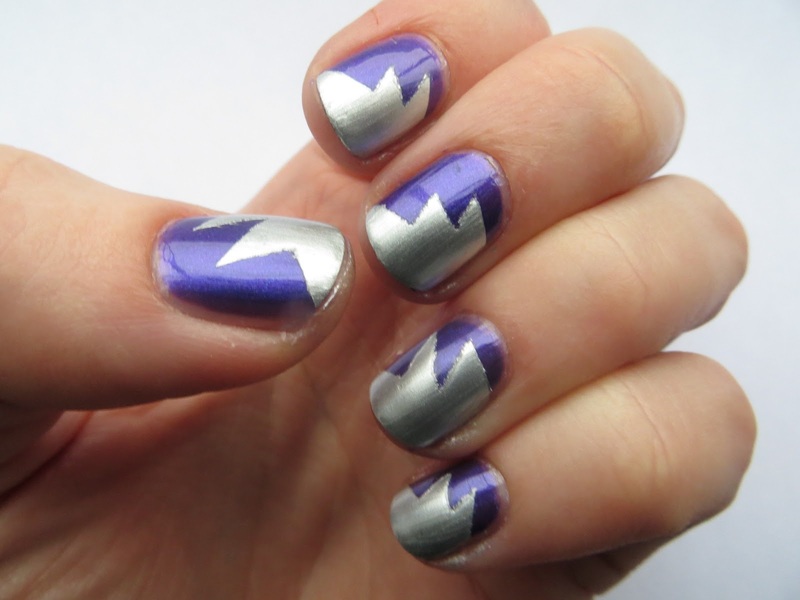 How fun that you feature your readers nail art! I'll be back for more. I wish I had a blog to link up!